I thought the best way of starting a blog would be to actually introducing myself … and because this blog will be about my work, I’d like to show you , how I got to where I am now. With my Mum – Milliner and my older Sister – Tailor … we always had a lot of fabrics around and I had always hand-made clothes, first by my mum, later by myself. I got to like the idea of being different and individual because I would have clothes no one else would. Before I have moved from Czech Republic to United Kingdom, I have become quite confident working with patterns and making new items for me to wear. 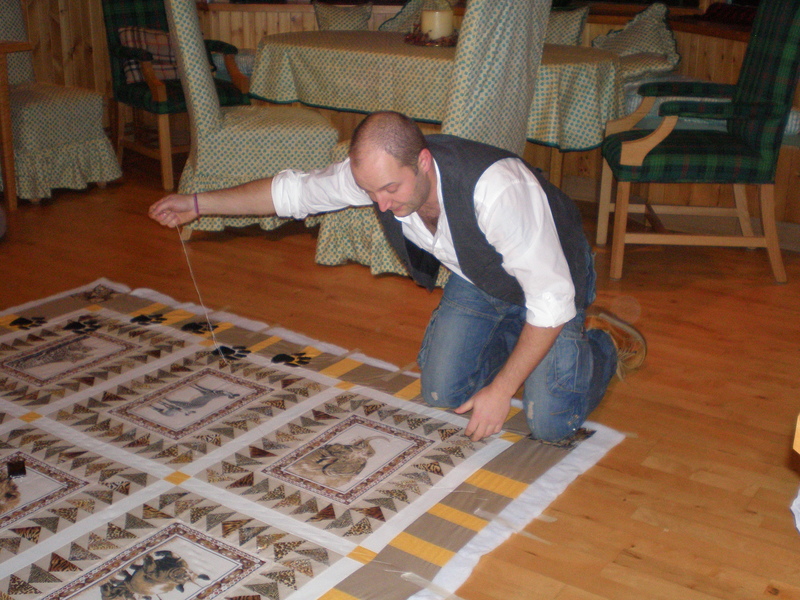 It was only in Scotland in 2008 I have learned to turn fabric into something quite different. First time I have entered the lovely shop in Banchory I was in love with Patchwork and signed up for beginners class straight away! Before I have finished this 5 week course I was already starting my first bed quilt which I made for Olivier and we are still using it in our home. 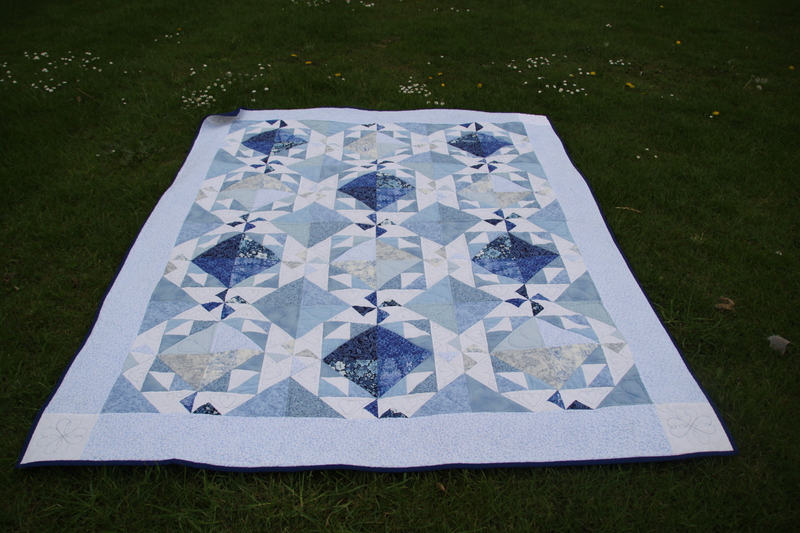 Like every normal quilter next quilts I have made were for my mum, Olivier’s mum, my best friend etc. And I started to involve Olivier as well. I also love to make very personal quilted objects as this wall hanging for Olivier’s mum who loves birds in any kind of art form. I have been playing with machine embroidery which is my very big passion. I have actually made two at the time. One of them was used as a gift for my very dear friend. 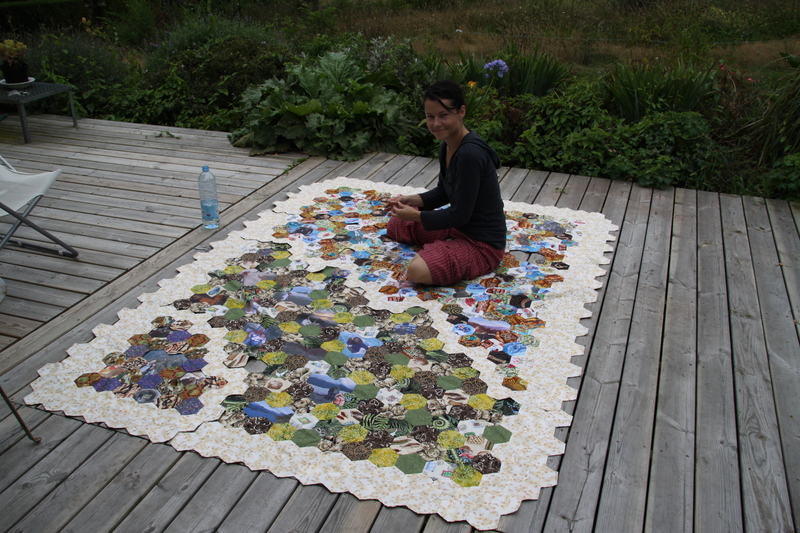 And the second one I loved so much I used it as my signature quilt at our business cards and website of OliVen …. but with the opening of the OliVen in 2011 started an amazing journey which I’m going to write about here. And how it all started I’ll keep for some other day …. Hello Vendulka, about time too! A brilliant start to an insight into your work of art, embroidery and quilting! Great start. 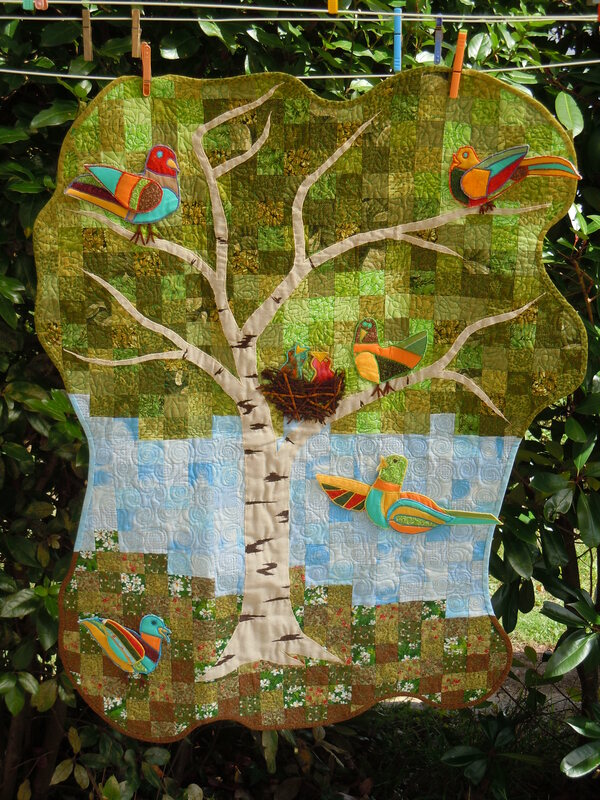 I love the birds quilt! Hello from Vendulka and Olivier! We’re quilting, felt making and crafting couple and parents. We run our small fabric shop on the Isle of Wight in UK and would like to share with you our creative journey! Enter your email address and lick below to subscribe to receive weekly copies of new blog posts by email.